Sign maker Luke Stockdale illuminates the rift in modern 2-D to 3-D design. Working with typography and design-for-print for the last ten years, Luke Stockdale got his education at RMIT in Melbourne and on some of the oldest printing presses in Australia. His sign-work embodies the perfectionism of a cabinetmaker and the problem-solving capabilities of a designer. 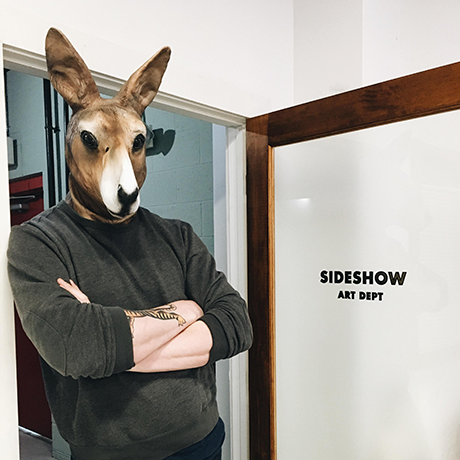 Passionate about reviving the traditional art of sign-making in a market crowded with cold-lit aluminum and plastic wrapped signage, Luke created Sideshow with a vision for making streetscapes distinctive again.